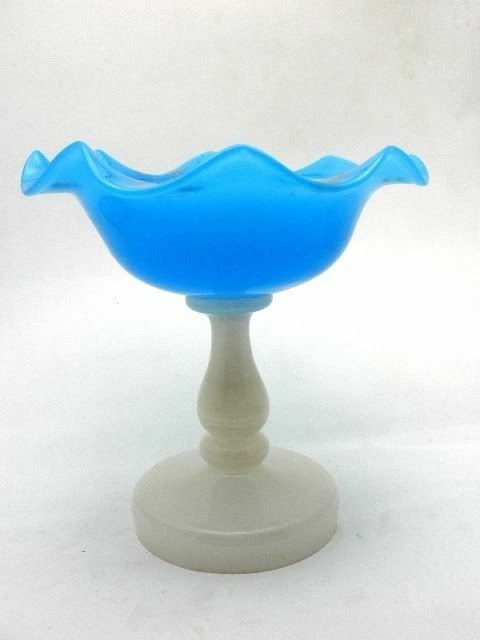 Antique blue & white opaline glass ruffled compote. The compote is in excellent condition with no damage to note. The ruffled rim has been lightly decorated with gold gilt swags which are worn but visible. 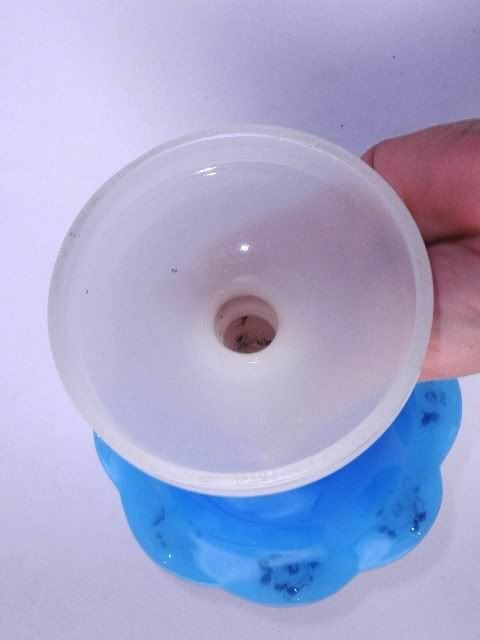 The compote measures 6.5" tall by 6 1/4" in diameter. 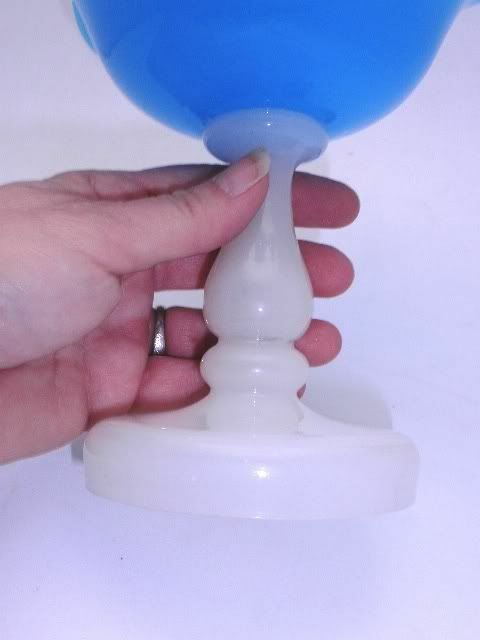 The base is hollow hand blown and could use a wash after viewing the photos. 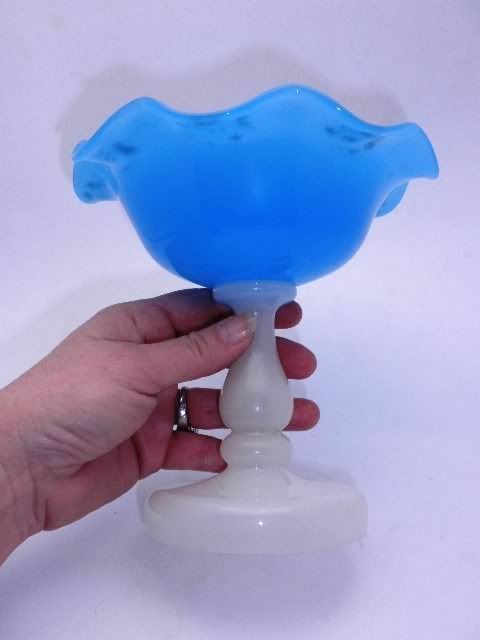 The compote is legal antique and dates circa 1890-1900. 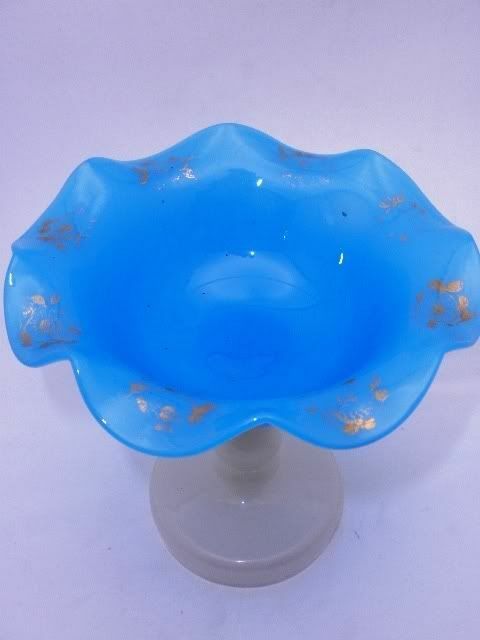 This is only one piece from a recent dealers opaline collection I will be listing please check for other items.